Barcodes have (literally) become a distinguishing mark of the modern era. The familiar stripes are almost everywhere in everyday life; libraries, retail stores, supermarkets, post offices, law firms, shipping companies, couriers, manufacturers, hospitals, etc. The benefits of bar coding are obvious. Improved data accuracy and accessibility enable a company to make correct decisions about future needs and actions. Although the applicable areas of barcode are extremely varied, the purpose is the same, improving data/materials management and reducing operation costs. This requires a high performance barcode scanning solution. Fixed Position scanning uses a series of scanning lines of varying directions in the form of a starburst or other multiangle arrangement projected at the symbol. One or more of these beams will cross all of the symbol's bars and spaces. 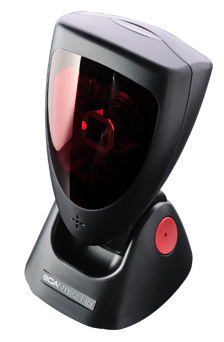 The Scantech ID range of scanners use a laser pattern of beams in varying orientations allowing them to read barcodes presented at different angles. 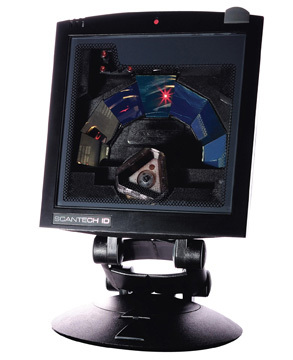 Fixed Position scanners are most familiar through the flatbed scanners used at the supermarket checkout where packages are slid across a glass window. 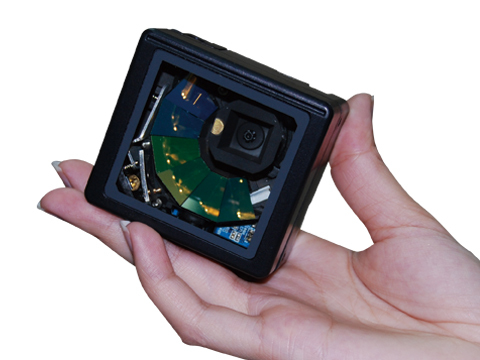 There are a range of different units available for varying scanning applications, from close range retail to industrial conveyor scanning where the unit might be fixed several metres away from the code. Multi beam scanners are also better at reading poorly printed, wrinkled, or even torn barcodes. 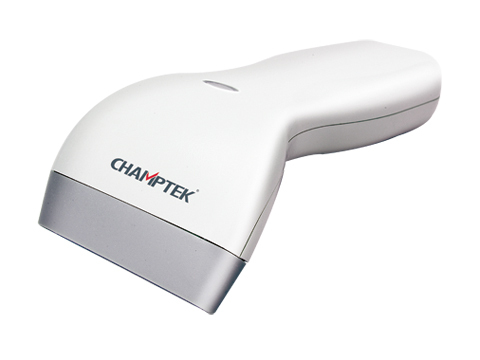 We also offer three types of handheld barcode scanners. These are LED or laser linear devices and area imagers for 2D barcodes. Handheld scanners are rugged, lightweight and compact so they are the perfect solution for portable scanning requirements. 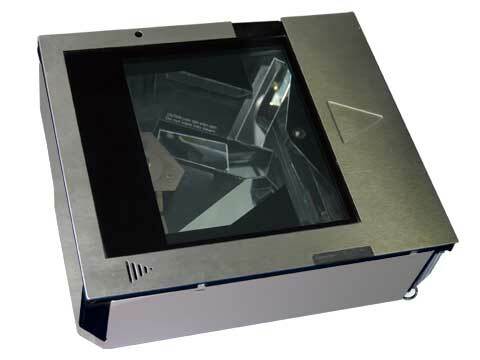 This type of scanner is often used in retail applications but has many other uses in process control, warehousing, etc. Handheld scanners Page. Sirius S-7030 Fixed or Handheld Laser Scanner. Libra L-7050 Fixed or Wall mounted Laser Scanner. Mica M-9030 Compact Scan Engine specification. Orion O-3050 Presentation Laser Scanner specification. 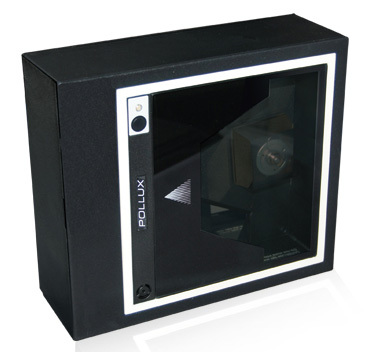 Pollux P-4010 Vertical Retail Scanner specification. 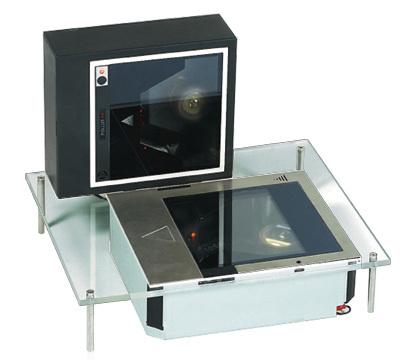 Castor C-5010 Horizontal Retail Scanner specification. Gemini G-5040 Bi-optic scanner module specification.